The "Halftime in America" ad flap marks the latest – and perhaps oddest – clash yet between pop culture and politics in an increasingly strange election season. 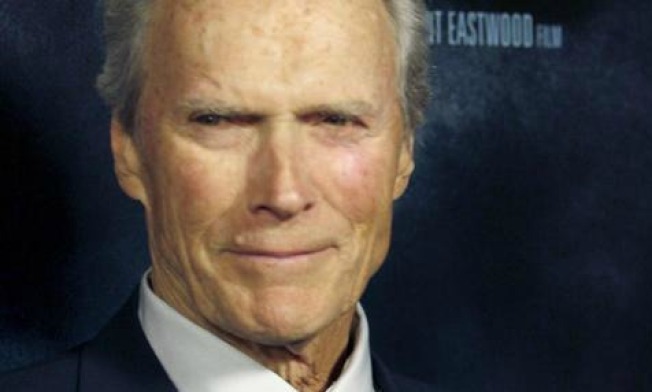 Clint Eastwood is calling for a timeout amid the flap over his "Halftime in America" ad. Super Bowl XLVI may go down in history as the faceoff that spurred more Monday-morning quarterbacking aimed at Clint Eastwood than Tom Brady. Chrysler's Eastwood-narrated "Halftime in America" ad kicked off an ongoing game of political football over whether the spot touting Detroit’s comeback-in-progress and the American spirit was a virtual campaign ad for President Obama – or simply an expensive two-minute pep rally intended to sell cars. Whatever the motives, the flap marks the latest – and perhaps oddest – clash yet between politics and pop culture in an increasingly strange election season filled with unlikely media meldings. The ongoing GOP debates have been likened to a reality show – and Mitt Romney even compared the President’s performance to reality star Kim Kardashian’s marriage. The candidates, as we've noted, got an early start on playing the late-night TV comedy circuit, where they are regularly parodied. One comedian (Stephen Colbert) has raised more than $1 million for a Super Pac he's used – so far – to produce satirical political ads for TV and campaign for a former candidate (Herman Cain) in South Carolina. Another comedian (Roseanne Barr) is seeking the Green Party presidential nod (free campaign advice: avoid singing the National Anthem in public). The "Halftime" Super Sunday ad came just days after Newt Gingrich dropped Survivor’s "Eye of the Tiger" from his campaign rally playlist and Romney jettisoned K’naan’s "Wavin’ Flag" following complaints from the songs’ creators. It all feels like something out of 1984 – not in the strict Orwellian sense, but in terms of an earlier watershed year for pop culture bumping up against presidential politics. That's the year Walter Mondale invoked a hamburger commercial catchphrase – "Where the Beef?" – during a Democratic candidates’ debate. It’s also when Bruce Springsteen demanded Republican incumbent Ronald Reagan stop using "Born in the U.S.A." as a campaign anthem. There are much stronger echoes of The Gipper in the Eastwood ad, which recalls Reagan's classic 1984 "Morning in America" campaign commercial trumpeting the country’s then ongoing return from recession. “It's morning again in America, and under the leadership of President Reagan, our country is prouder and stronger and better,” the narrator intoned. In Sunday’s spot, Eastwood’s gravelly voice declared: "It's halftime in America. And our second half's about to begin." You need a scorecard to keep the controversy straight: A legendary actor with outspoken Republican and Libertarian leanings is being accused (most notably by Karl Rove) of echoing a classic political ad from an actor-turned-GOP icon to thank a Democratic president for an auto industry bailout that Eastwood personally opposed. The reason the old Reagan ad and the new Chrysler spot are effective is because they, at least on the surface, transcend politics to present an image of resilient Americans able to meet challenges and rise from adversity through hard work and determination. It's a message of optimism that’s seemingly hard to argue with, as Eastwood noted. "It was meant to be a message just about job growth and the spirit of America," Eastwood said in statement sent to Fox News’ Bill O’Reilly Monday. "I think all politicians will agree with it. I thought the spirit was okay." Eastwood is essentially presenting the ad as a Rorschach test – it is whatever you see in it. The ad, though, isn’t easily categorized – much like Eastwood, a versatile actor and filmmaker known for playing characters ranging from the shoot-first-ask-questions-later cop “Dirty” Harry Callahan to the haunted, aging gunslinger William Munny in the myth-breaking Western "Unforgiven."